There is nothing quite like a marketing executive, especially when they work in publishing. These are the people who come up with the fantastic ideas like: dog on the cover because dogs sell books, no dogs in the book; bright and cheery cover art, book about a serial killer; quotes recommending the book by famous authors, authors that have the same publisher. In this case the marketing department came up with a brilliant idea: Matthew Reilly is an Australian author who sells a lot of books, let’s mention him on the cover, despite the fact that the two authors write in a completely different style. I grabbed Mark’s book from my local library because I saw he had a new book out, the third in a series, and I hadn’t heard of him previously. A fellow Aussie author, with a comparison to Matthew Reilly on the cover: this should be gold. Needless to say, the marketing people drew me in with false advertising. Mark’s book is a thriller and was a decent read, but he was more Cussler or Archer than Reilly. In fact, I was more reminded of Sahara (swap baking temperatures for freezing cold) than I was of Ice Station. False advertising aside, this is quite a decent thriller. 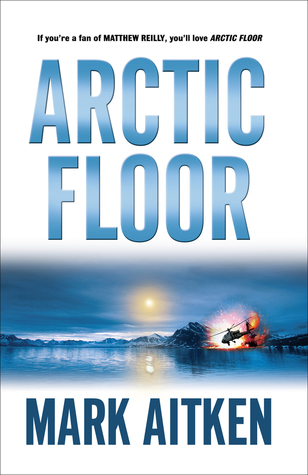 Worth a read, if you are after a James Rollins or Clive Cussler style novel. I’d expect later books in this series will probably “grab” the reader more, so maybe check out Mark’s new one. That’s a pretty cool cover! I’m a total sucker for thrillers, so I’ll be adding this one to my list. Mark is worth checking out. Hope you enjoy it. He also writes under the name Mark Abernethy, and apparently has also ghost written a few things as well.